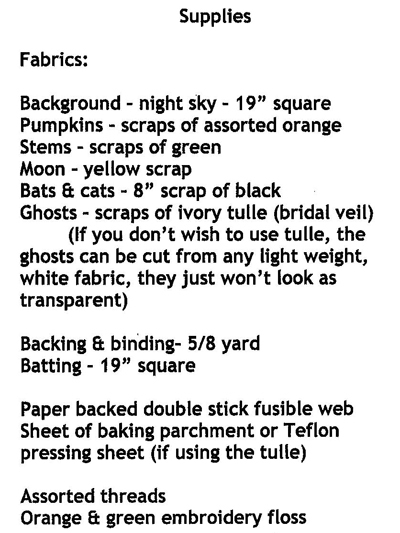 Decorate your table for Halloween! 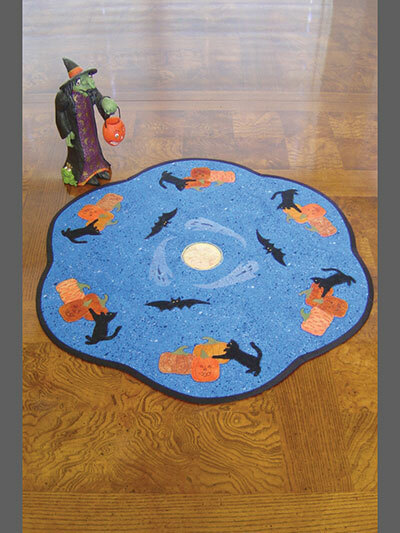 Black cats, bats, pumpkins, and jack-o-lanterns adorn this cute Halloween table topper. The pale full moon in the center is encircled with ghosts of fused on tulle that gives them an ethereal look. The technique used is raw edge, fused, and machine stitched applique. Finished size is 19" across.